At our Flagship Amsterdam event in May 2018, an expert jury selected by the Chivas Venture will divvy out $800,000 to social startups, with another $200,000 being provided to runners-up before the event. Here’s the story of how –and why– this partnership came about, as well as the full benefits available if you run a social startup. Over the years I’ve come to accept more and more that really great business partnerships are as likely to be the outcome of serendipity, as they are to be a feat of careful engineering. People often think that serendipity means being in the right place at the right time – but that’s just luck. Serendipity on the other hand, introduces the notion that the right person needs to be in the right place at the right time. Serendipity depends on the ability ‘to see bridges where others see holes,’ and many of the partnerships we’ve entered into at TNW has relied on this ability of being able to spot an opportunity to collaborate, even when this was not your original intention. This was especially true in our partnership with the Chivas Venture. At about this time last year, we launched our IMPACT program at TNW Conference. We may have been around for ten years, but this was our first foray into doing something that shined a spotlight on social startups that are dedicated to changing lives. We felt that we could provide value for these companies: our event draws together 15,000 early adopters and all-round innovators, we run a successful blog covering breakthrough business and technology, and we have more than a decade’s experience in matchmaking corporates and startups, as well as startups and investors. The only piece left of the puzzle was building a solid network of specifically social startups that would be eligible for the program. To tackle this, our Startup Programs Manager decided to reach out to some institutions that had experience in this field, and who he thought might be willing to help. One of those institutions was the Chivas Venture. Started by Chivas Regal –the Scotch whisky brand– in 2014, the Chivas Venture was designed to fund social entrepreneurs from all over the world, in order to help them improve lives. They do this primarily by using a $1 million dollar, non-equity annual fund, but also through coaching: something which is funded by Chivas Regal but provided by the Skoll Centre for Social Entrepreneurship at the University of Oxford. It’s a project that is deeply cherished at the highest places within both Chivas Regal and Pernod Ricard (Chivas’ parent company) – with Pernod Ricard Chairman & CEO Alexandre Ricard heavily involved in the judging process during the program’s Global Final. It didn’t take long for Chivas to get back to us confirming that they would be happy to connect us with their network of social startups from more than 30 countries. The conversation quickly blossomed into an open discussion about ways in which we might be able to collaborate. On the TNW side, it quickly became apparent that we would never be able to provide the same level of financial support to our IMPACT startups as Chivas could, in terms of both a non-equity fund, and a funded accelerator program. 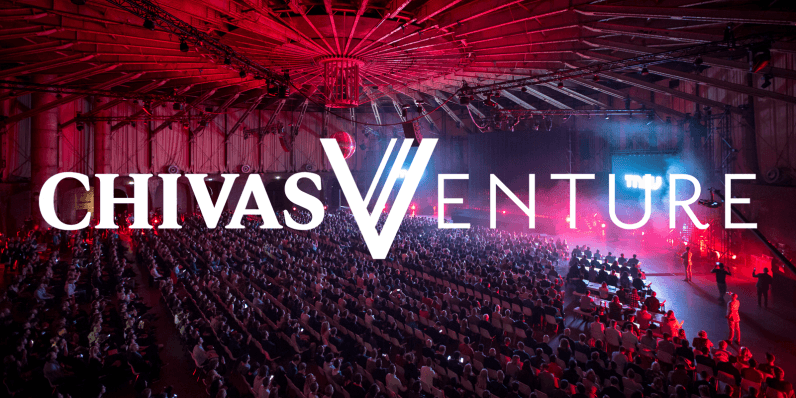 Likewise, it became apparent that the Chivas Venture Final, an impressive pitching event that is hosted each year in front of an expert jury, could benefit from the scale of a 15,000-person technology event like TNW Conference. It would have been easy for both TNW Conference and the Chivas Venture to continue running their individual programs. Fortunately, everyone involved saw an opportunity to build a bridge, which led to the bold suggestion from our Events Director of cancelling our own IMPACT program after the first year, in favour of making room for Chivas to host their Global Final at TNW Conference. Hosting the Chivas Venture Global Final on our main stage will help achieve the live-audience scale that comes with a massive tech conference: their best social startups, selected from more than 2,600 applications across 29 countries, will now get to pitch their product in front of an audience of the same size. Those startups will also get to exhibit to our 15,000 attendees on our business floor, set up meetings with investors using our Matchmaking service, and participate in the dozens of side events and networking opportunities that come with every edition of TNW Conference in Amsterdam. During the week of the Chivas Venture Global Final, Quarter and Semi-finals will take place in Amsterdam to narrow down to the top finalists who will pitch on our main stage, in a bid to win the lion’s share of Chivas’ $1million fund. I’m grateful that individuals on my team and working for the Chivas Venture were capable of being able to see an opportunity to build a bridge, rather than the need to dodge a hole. The outcome is set to benefit some of the world’s most important companies focused on bringing about social change. To learn more about the Chivas Venture, visit the program’s website here.